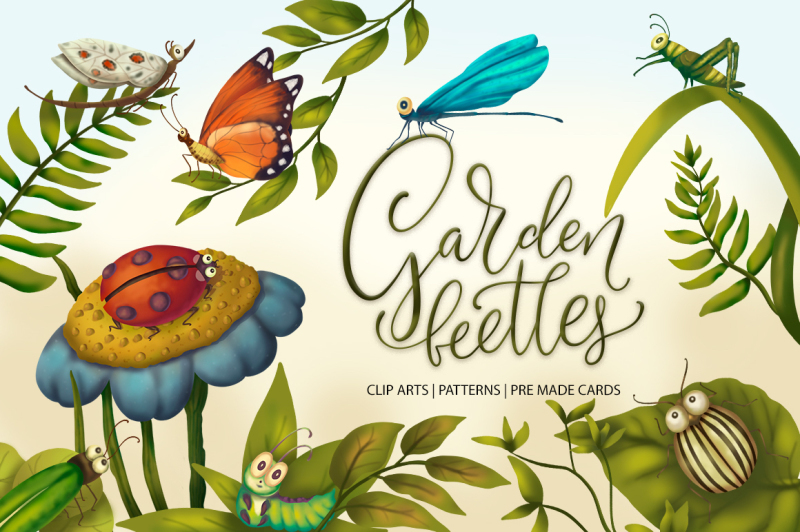 ‘Garden beetles’ is a cute, with detailed color and outline cliparts, seamless patterns and pre-made compositions. 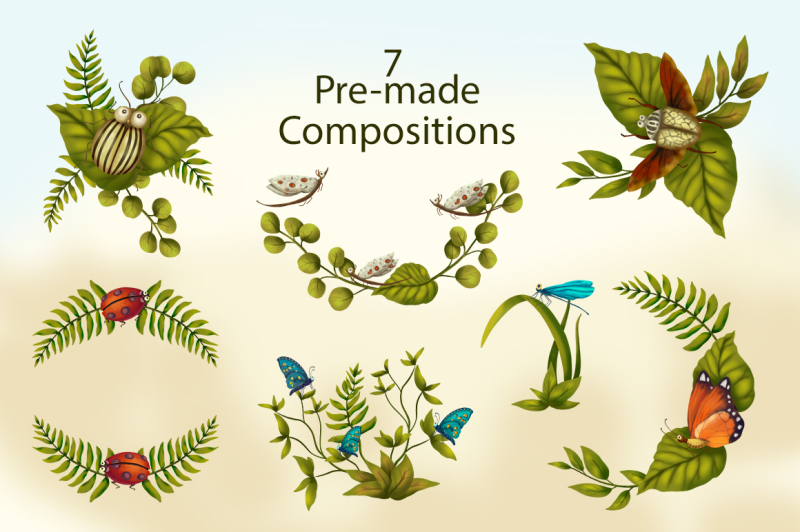 All illustrations were drawn in Photoshop and include beetles and green plants. 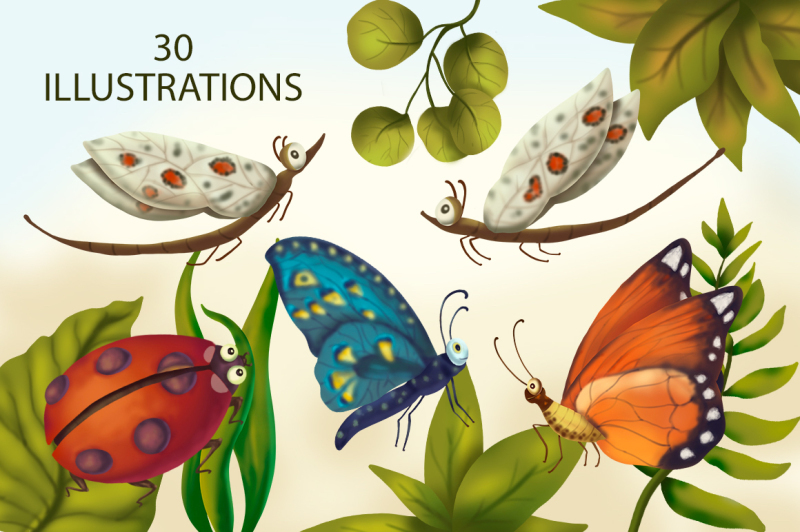 All clipparts drawn at 300DPI, sizes vary from 900 to 3000 pixels wide. 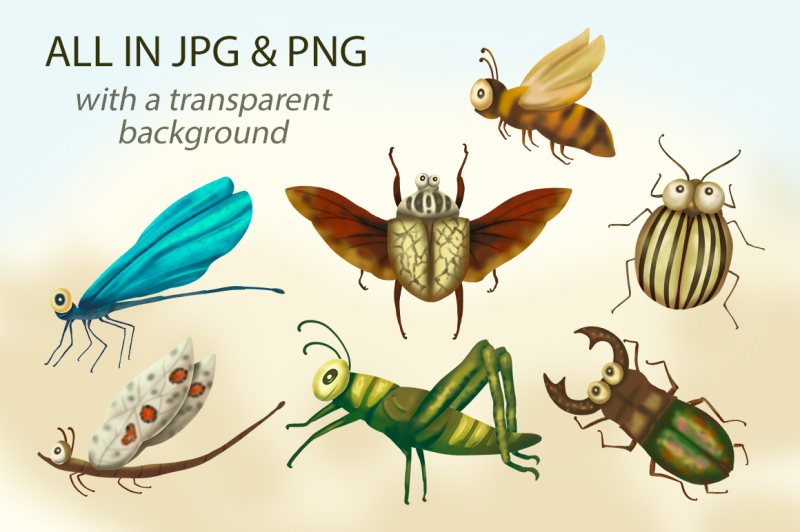 They all are detailed and come in same color as on the preview images. 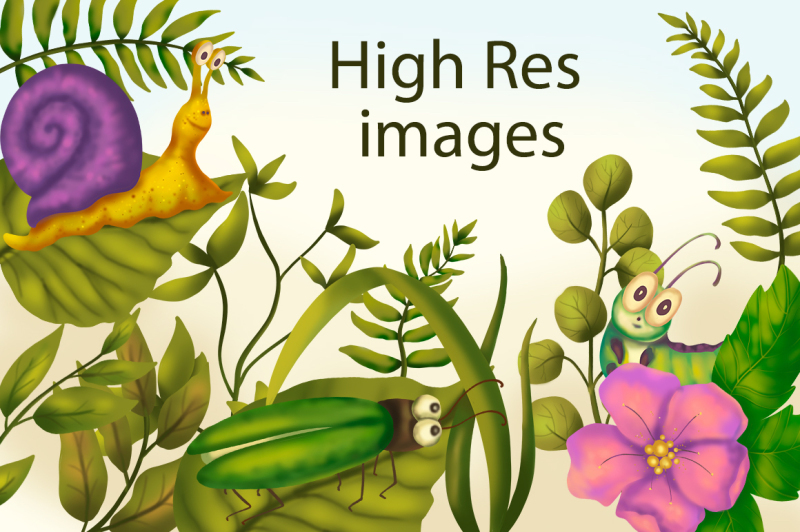 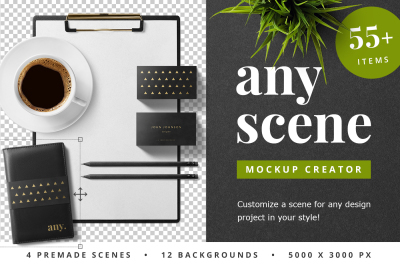 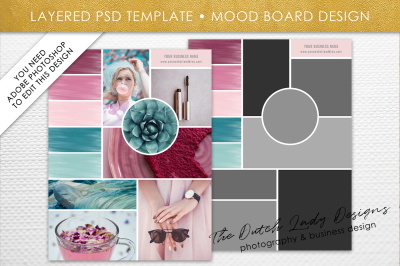 Illustrations, patterns and compositions will add a little joy to any project. 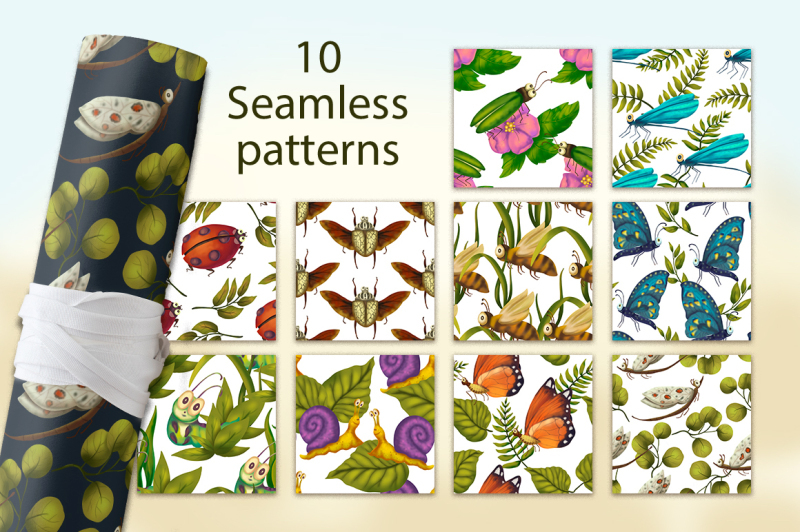 Use individually or all together for a Greetings cards, blogs, quotes, posters, packaging, wrapping paper, stickers etc. 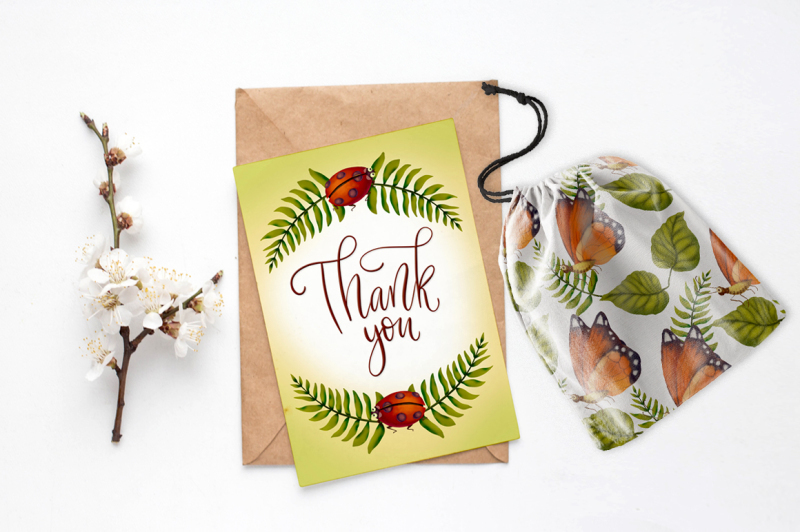 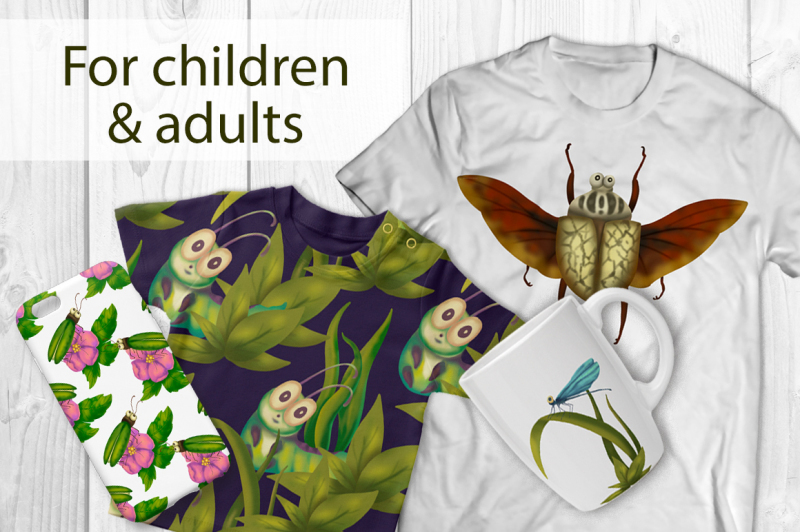 Children and adults, all those who love summer, cute little bugs and nature will be happy to receive a thing with this big collection – ‘Garden beetles’.